Harlem Globetrotters are Coming! | More Crunchy Beach Mama! 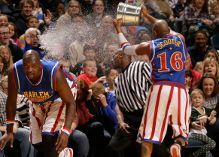 Don’t Miss The Harlem Globetrotters Coming to Broomfield on March 7th! 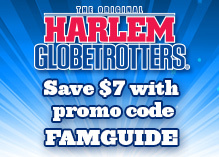 Save $7 Off Select Tickets to any Harlem Globetrotter Game with promo code FAMGUIDE. Use promo code FAMGUIDE to get $7 off select tickets!! Are you a Globetrotters fan? I’ll be receiving tickets for my post so look for my review in March!